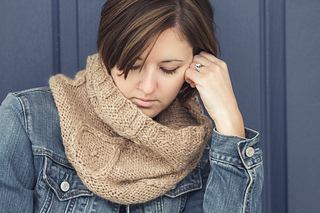 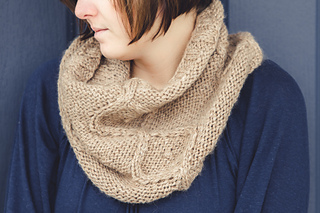 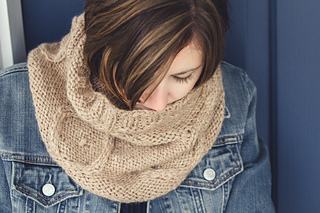 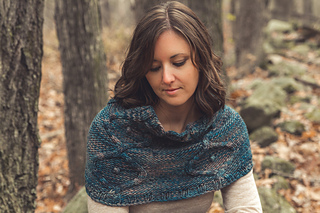 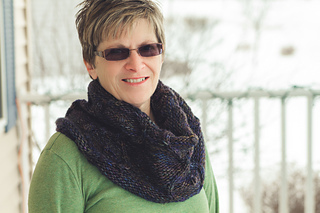 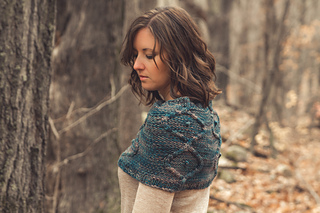 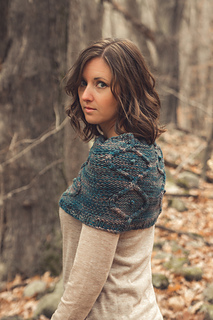 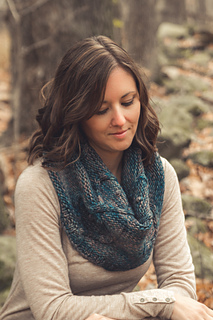 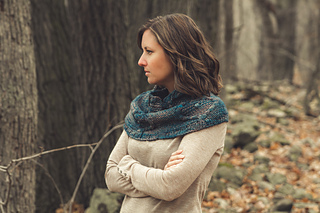 Moonpath is a deep, tapered cowl knit in the round, featuring wide circular cables and decorative bobbles. 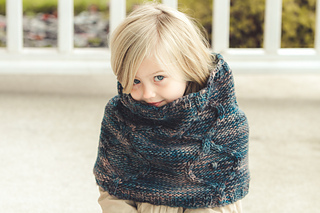 It can be worn pulled down over the shoulders, or high around the neck to keep out the chill. 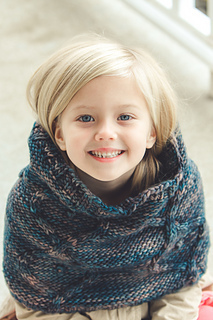 And how adorable does it look as a capelet on a little girl!?! 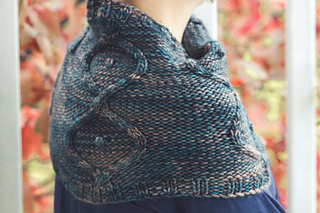 Pair it with the Moonpath Hat to stay extra toasty!